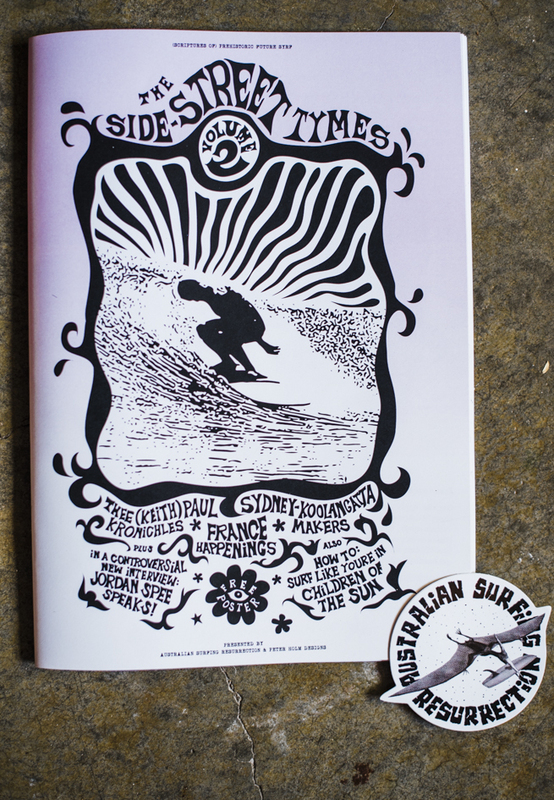 The Side-Street Times is an inclusive glue and scissors magazine which offers an insurgent mechanism of exposure for small creative industries associated with surfboard riding. 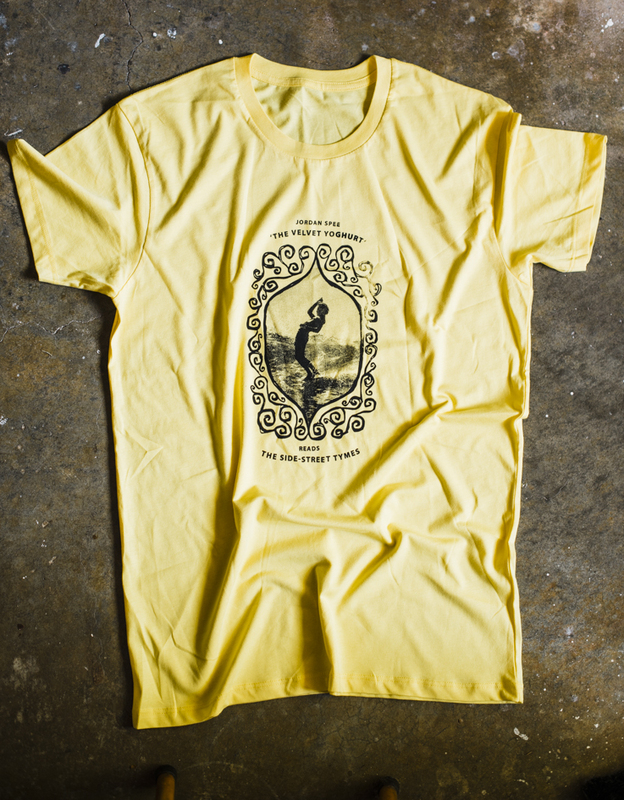 We stick it together ourselves, print it on the best quality recycled paper, and distribute it to the best proper surf shoppes and upstairs galleries in Australia from a ruck sack, along with some freighted copies to California and anywhere else according to personal orders. Some articles are done by ASR while others are done collaboratively with or wholly by a host of contributors. Peter Holm Designs is prominent in the overall finish of the zine, and Mysty does a lot of the beat words. The popularity of the zine has seen it grow from being a toilet side reader, to a an incubator of new artists and surfies. Apt for implementing the ASR vision, the format has proved fitting for the present log riding era which seeks to shake-off major media and institutions. The 3rd volume of the Sides-Street Tymes is about returning to the lived experience of simply surfing. It also makes a suggestion for single fin culture to resist being too easily defined and hence commodified. Following on from a more refined Volume 2, Volume 3 is simpler and bolder in its production, plus printed in colour in accordance with the bright new era in post-corporate surfing, and re-liberation of the individual in general.